Michael Froman, the White House’s international economic affairs adviser, was confirmed by the Senate Wednesday as the next U.S. trade representative, Reuters reported Wednesday. Ninety-three senators voted to confirm Froman and four voted in opposition, according to the report. 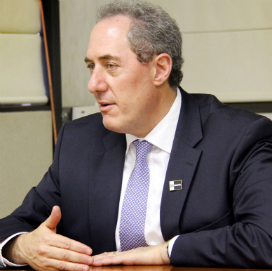 Reuters reports that Froman could preside over the first round of talks covering Transatlantic Trade and Investment Partnership pact, scheduled for the week of July 8 in Washington. He succeeds Ron Kirk, who announced his plans to join a Dallas-based private firm earlier in January.